It is now possible to view over 450 Greek and Cypriot TV channels in the UK without having to instal a satellite receiver and dish. 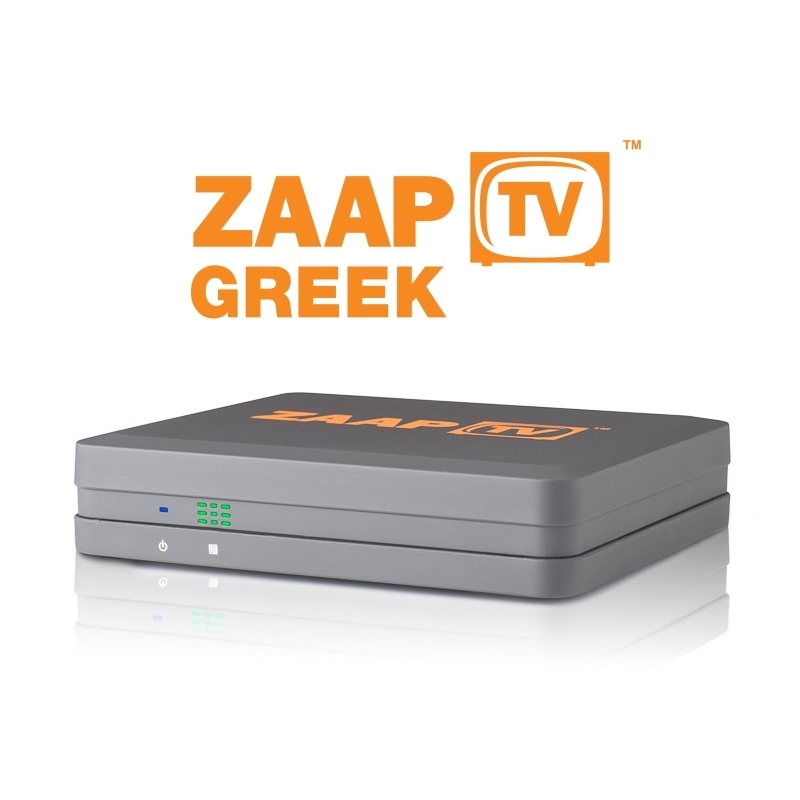 The New ZaapTV Greek IPTV box offers a 2 year subscription FREE service delivering Greek TV via the internet. Zaap TV Greek is the easiest way to view 450 of the best TV channels from Greece and Cyprus. There are 90 unique Live channels including names like Mega Cosmos, Alpha Sat, Star International, ERT, 4E and RIKSAT. With Zaap TV Greek you will have access to the best movies, TV series, comedy, drama, thrillers, kids programmes, music, talk shows and much more! There are even over 40 Greek and Cypriot radio stations too. With Zaap TV Greek there is a something for all the family! Time Shift Channels: With ZaapTV Greek timeshift technology you will be able to watch your favourite channels to match your time of day no matter where in the world you are as all channels are rebroadcast with either a 2, 7, 10 or 12 hour delay meaning you dont have to watch that early evening news broadcast at 1 o'clock in the morning! 2, 7, 10 and 12 hour time-delay.